(1) When the main motor of Stand Up Plastic Filling Machine is started, the main motor drives the relevant mechanical transmission device on the equipment to operate, the printing motor also starts to run, and other electrical appliances are also in operation state, for example, the heater, the air compressor, the composite pump, etc. all start working. (2) When the bag passes through the ink and is dried, it enters the cutter part, and the main cutter cuts into the required bag length, and then starts to enter the mouth part, which requires the speed of the main motor and the printing motor to match before, so as not to match Make the bag wrinkled. 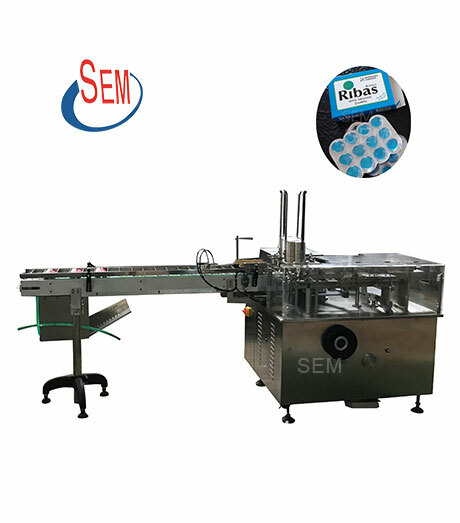 (3) When the bag enters the mouth part in Automatic Chemical Liquid Packing Machine, it must be glued, glued, heated, and then enter the bottom part, and then adhere to the bottom tape to enter the next step. The bottom sticker is driven by the bottom-mounted motor, and it has a strict matching relationship with the main motor in speed, so that the bottom of the bag can be pasted. After the bottom-posting process, it is sent to the bag-out part by the conveyor belt, and then the number is controlled by the solenoid valve and then sent out in the required amount.